Victor Specialties Extra-Heavy Series 1-Hole Snap-on clamp of trade size 2-1/2-inches, is suitable to use with thin wall EMT conduit. 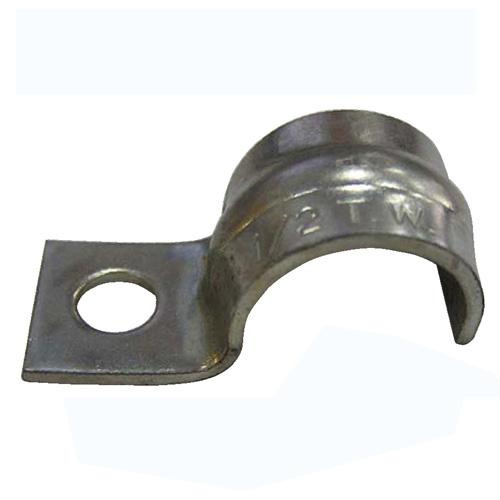 This 21/32-Inch hole clamp features steel construction. It has thickness of 0.25-Inch and band width of 1.5-inches.